People can be quick to throw away things that they think don't have a use any more. I have built my life from things people have thought of as trash. 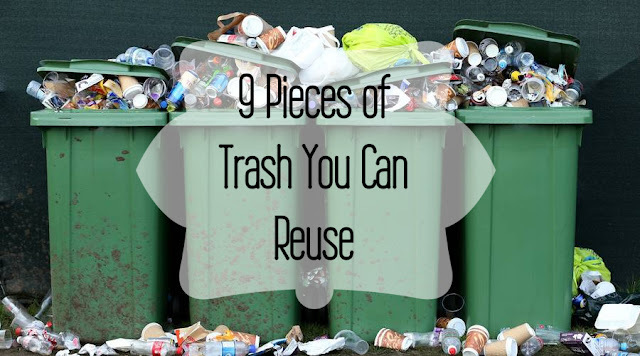 Here are a few items that I've reused to create treasure out of trash! I don't condone ripping pages out of perfectly good books. As a teacher, it makes my heart hurt! But, some books become unusable in one way or another and can be used to create beautiful things. 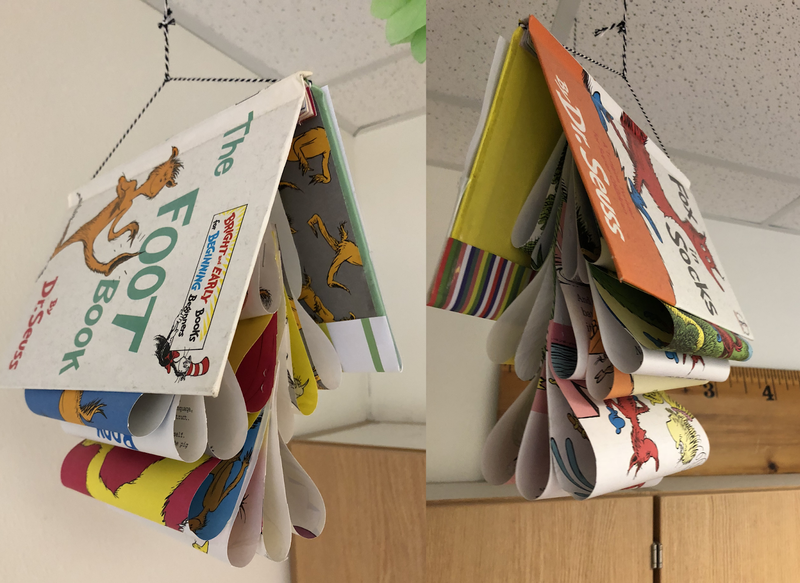 The Dr. Seuss books from which I made the above sign for my classroom had some bad water damage on a majority of the pages. Most people would throw them away, but I couldn't bring myself to throw them out and had to save the pages that were still intact! With the covers and left over pages, I made these hanging pieces for my classroom, too! Do you still have that ugly canvas picture that hung in your first apartment? Has your child grown out of the childish art that once hung in their room? Don't throw it out! 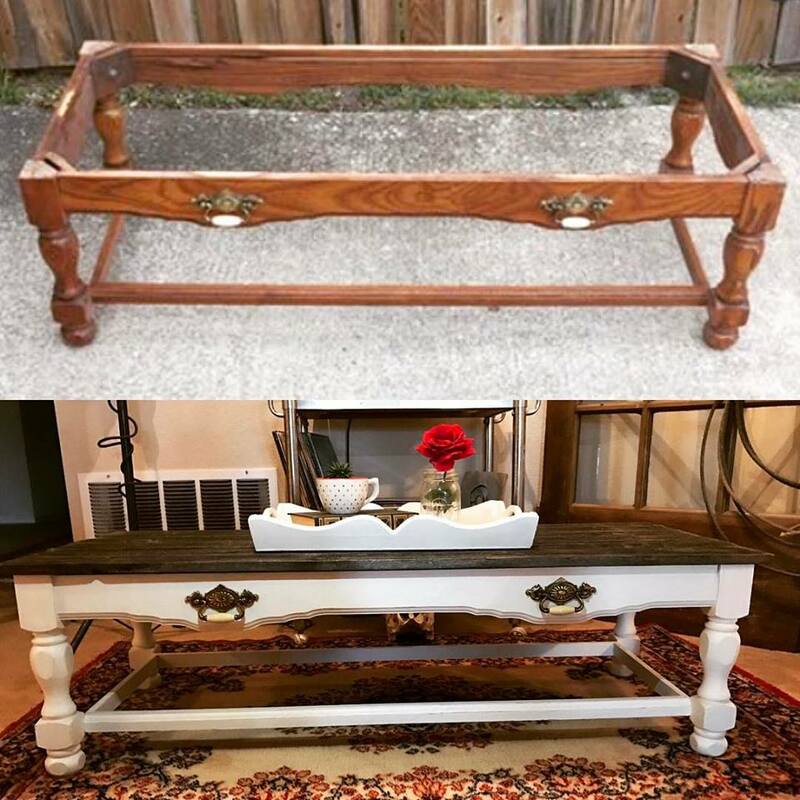 Canvas can be painted over and given new life! That ugly, useless canvas can be made gorgeous once again with a little paint! 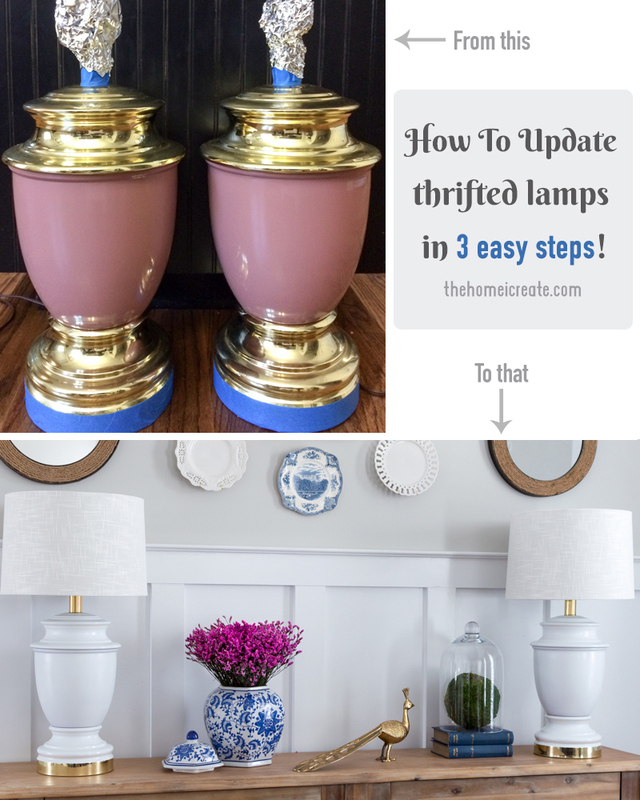 Don't throw away your grandma's hand-me-down lamps! 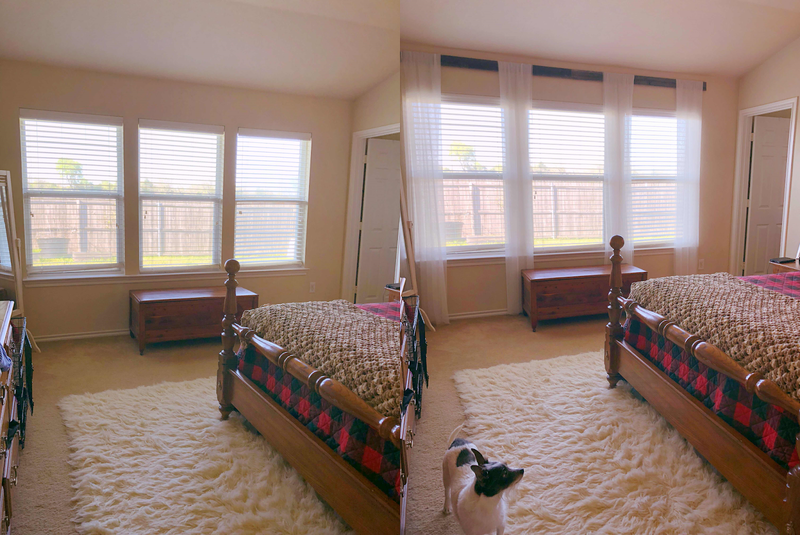 Yes, they may be hideous and dated, but those lamps don't have to stay the same color. 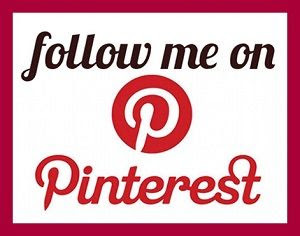 A little spray paint can bring them into this decade and be the perfect pieces for your home. Pillows that no longer match your decor or are falling apart can be easily given new life! 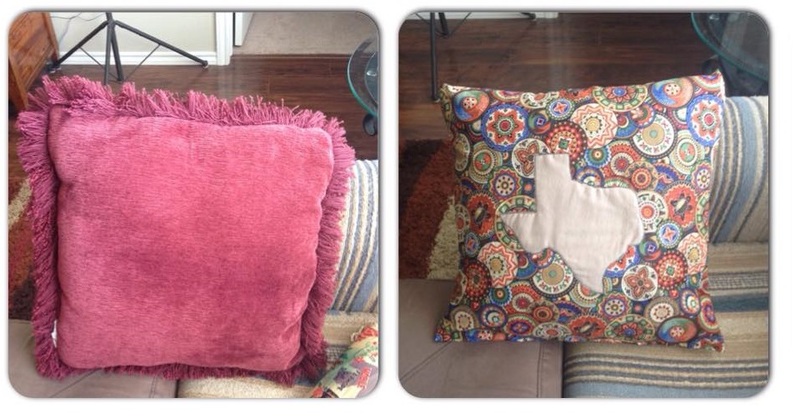 You can use a pillow cover or cover it with fabric yourself. I have even taken the pillows apart and used the stuffing for other crafts. Ugly or not, they can be renewed! Pickle jars, pasta sauce jars, mason jars...the possibilities are endless! I've made flower vases, sugar canisters, and salt shakers from jars of all shapes and sizes. Don't throw them away! Save them to use as decor or for functionality. You can't go wrong with these sturdy, classic pieces! 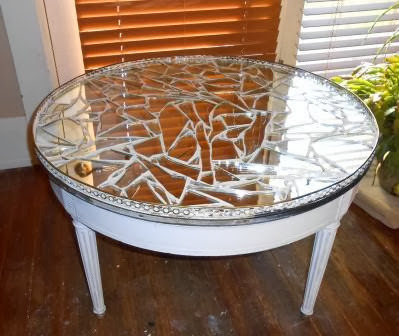 I adore reusing things that could otherwise have been in the dump. Don't let looks tempt you to throw something away that could be recycled to be amazing! What else do you reuse to create amazing? Leave me a comment telling me a trash piece that you've rescued! You are amazing! I do not have the eye for reusing old items but after reading this, I am going to look at things differently. 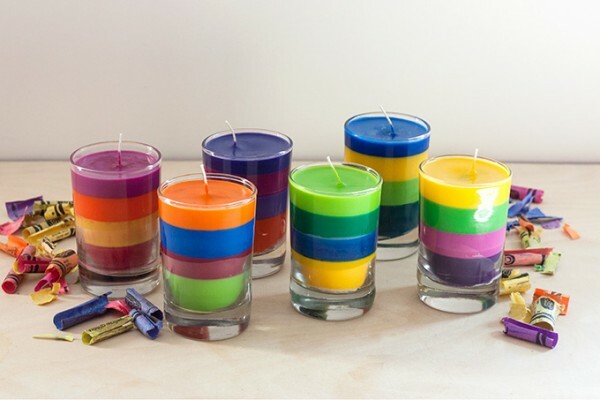 Those hanging pieces you made out of books for the classroom are so cute and the candles, love all the colors. I have some old lamps collecting dust under the stairs, you have given me some ideas to repurpose them!